I am a traditional country saddler producing hand made leather goods from my workshop in Rothwell, Northamptonshire. 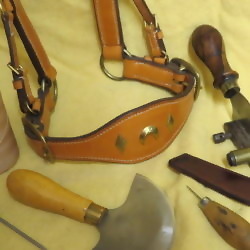 I repair and manufacture a range of leather items using predominantly English bridle leathers. For the majority of my work I use a variety of hand stitching techniques.